Was I born into this world clutching my favorite stuffed animal, a blue felt, moleskin bunny? It seems so. My earliest memories are inseparable with my stuffed animal named simply: Bunny, my twin. Dangerous forays into the woods, splashing in mud-puddles or even field-trips to the dump: Bunny was always right there alongside me! 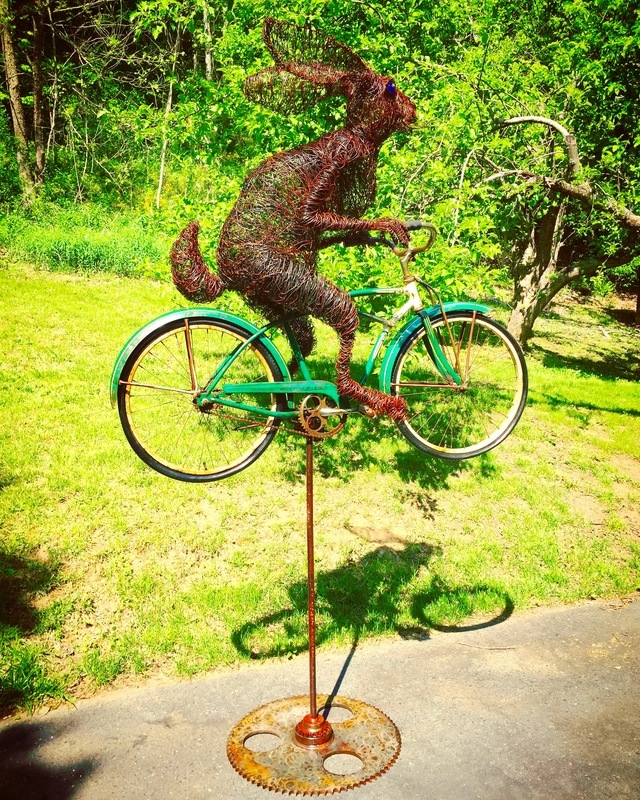 a coil of copper wire, and once, a discarded animal: Peter, a stuffed rabbit. Peter became just as close as Bunny.